Five of the six families promised an investigation following the deaths of their babies have been excluded from the official review. In November, the health secretary ordered a review of the "unnecessary" deaths of six babies at Crosshouse hospital in Ayrshire since 2008. But the BBC has learned it will only look at cases that have happened since December 2013. The review is being carried out by Healthcare Improvement Scotland (HIS). It said the review team had "extended an open invitation to any members of the public who wanted to share their experiences" of the Kilmarnock maternity unit. However, families affected by adverse events before December 2013 will not be part of the "formal" review process. Following a BBC Scotland investigation into six cases at the end of last year, Health Secretary Shona Robison asked the watchdog to "look at those cases and to report to me as quickly as possible". However, HIS has now said the formal cut-off for cases will be the end of 2013, meaning that just one of the six cases highlighted by the BBC falls within its review. Ms Robison told BBC Scotland some cases had been looked at during a "previous review". The health secretary said the date of December 2013 was chosen because HIS wanted to examine whether NHS Ayrshire and Arran was following the guidance from the previous review. She said the watchdog had spoken to the families whose cases were before the cut-off date and their issues should be included in the final report. However, Ms Robison added: "It is an independent review and we need to wait for HIS to report and I will look at it very carefully indeed." Following the original BBC report others have come forward to tell their stories about the maternity unit at Crosshouse. One of them was Elaine Pringle whose daughter Rebecca was born there in December 2011. She received an email from Ms Robison suggesting that Rebecca's case would be included in the review. But she has since been told by HIS that she can be part of discussions but not part of the review. Ms Pringle was told on Christmas Eve 2011 that her baby would not survive but Rebecca recently celebrated her fifth birthday. She goes to school every day but has cerebral palsy and cannot walk or talk. Her mother told BBC Scotland: "Shona Robison said Rebecca could be included in the review but when we went to the meeting HIS said it was outwith their time limit to include Rebecca. "I think it's disgusting. Why is it up to the families to chase the answers? "I got an expert report done through my lawyer because the hospital refused to give me my medical records. I think there should be a public inquiry because the NHS is still not listening." The letter from the health secretary to Ms Pringle states: "In response to the families concerns that were highlighted by the BBC report which you refer to in your letter I have asked Healthcare Improvement Scotland to carry out a review. "If you wish your case to be passed on to HIS to be considered as part of their review, email. "As mentioned earlier, once I have received the report, I have offered to discuss the findings with the families concerned, and if you would like your case to be considered, we would be happy to include you in the discussion." Some families have asked that we do not identify them or their children. Baby C was born in Crosshouse hospital in July 2009. A full Significant Adverse Event Review (SAER) was carried out highlighting serious failings in foetal heart rate monitoring - similar to those found in the case of Lucas Morton six years later (see below). Baby C's mother, who did not want to named, said: "The mistakes and failings in the notes were shocking." "Luckily the first staff to speak to us were very open and honest. "It was clear I was having a placental abruption, there is no way that it could have been mistaken. "There should have been no hesitation in delivery as this is the only method in dealing with an abruption." She added: "When someone loses a child at the hands of our NHS the very least that should be expected is honesty and clarity. "I may have had this but really it has proven to be a complete waste of time because nothing changed. "They said they would learn from our daughter's death but then Lucas Morton and other babies died in similar circumstances. "And because she died before 2013 they've said we can't be included in the review. "I feel the HIS report, like the previous ones, is not going to change the practice at this hospital as no-one is ever held accountable." Elise Mungall was born in Crosshouse hospital in October 2009. The subsequent Significant Adverse Event Review (SAER) suggested delays and failure to follow protocols had contributed to her death, which was recorded as a stillbirth. Elise's mother Dawn told BBC Scotland: "Our lives were changed when we lost Elise. "It had such an impact. We tried and tried to get to the bottom of what happened but we were met with walls." She said: "When we heard in November that the inquiry was going to take place we were quite excited so it is devastating to find out that we have been cut out of it. "It is as if our stories are not being valued and as if the experience we have been through means nothing." Joseph Campbell died during childbirth at Crosshouse hospital in 2012. His family said a consultant had told them that things should have been done differently, especially in relation to monitoring Joseph's heartbeat. His mother Denise Campbell said she could not understand why the review would not go back to cover her child's death. She said: "Why they are missing out this space in time in the investigation is beyond me. "The NHS and HIS don't seem to care about Joseph and their failure in care that caused his death. "We feel they are trying to hide failures and the fact that they should report it by law and no-one has even asked why this wasn't done in Joseph's case." Lucas Morton died at Crosshouse hospital in November 2015 after a series of failings by hospital staff, who had failed to diagnose pre-eclampsia and did not properly monitor the baby's heartbeat during childbirth. They also failed to alert senior members of staff despite being unable to hear the baby's heartbeat for 35 minutes. The health board apologised to Mrs Morton for "the management offered to you in the later weeks of your pregnancy which almost certainly failed to identify complications that contributed to Lucas's very tragic and unnecessary death". Lucas's father Fraser Morton said he was disappointed by the scope and scale of the review. He said: "As far as I know, there's more families that have been excluded than included in the review. "I believe they've been excluded either because they lost their baby or suffered significant harm prior to 2013. "The timeline has been artificially curtailed. 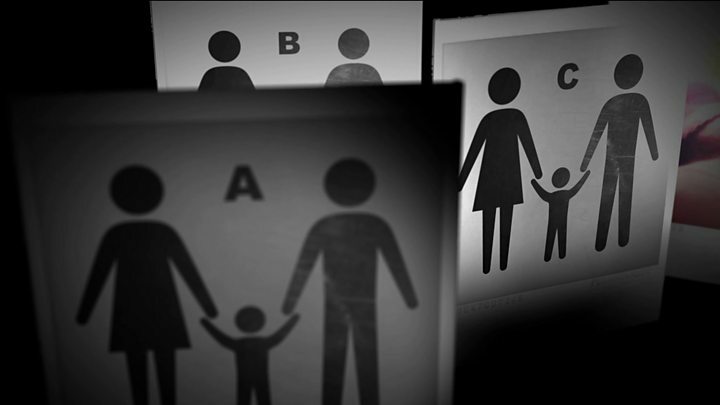 I don't think they should be excluding any of these families." He added: "It is very narrow and it should be widened. "It means a lot of families will not get answers. I don't think any significant improvements have been made since 2012. "The terms of reference allow for the timescale to be extended." Rab Wilson, a former nurse and whistleblower at NHS Ayrshire and Arran, said: "It seems totally disgraceful to me that families who have suffered great distress, genuine tragedy and, in the most extreme cases, bereavements that were, in all probability, avoidable and preventable, have been cynically excluded and prevented from taking part in the HIS review into the fatal failings at NHS Ayrshire and Arran maternity unit. "Shona Robison must intervene here and demand that these families are allowed to tell their stories. " A spokeswoman for NHS Ayrshire and Arran said: "While we cannot comment on individual cases, we take feedback and concerns very seriously. "We would invite anyone who feels they did not receive the high level of care we strive for, to contact us directly. We are currently in communication with families who have been in touch about their experiences. "We are co-operating fully with Healthcare Improvement Scotland during their review of our systems and processes within our Maternity Services. "We are unable to comment any further at this time with regards to the review. Any issues relating to the review are a matter for Healthcare Improvement Scotland." Claire Sweeney, interim director of quality assurance at Healthcare Improvement Scotland, said: "The review is formally looking at the management of adverse events from December 2013 onwards. "However, the review team had extended an open invitation to any members of the public who wanted to share their experiences of Ayrshire Maternity Unit. "The team has met with a number of families, including some who had experiences at Crosshouse prior to December 2013. "No families have been excluded from the review. We have spoken to all families who wanted to speak to us to share their experiences." She added: "Their important views have helped us understand the issues that need to be considered as we review the service and they will be included in the final report. "This will make sure that the report and recommendations help to improve the care that people receive. "We sympathise with the experiences of the families concerned and we have been very grateful to these families that they felt able to share these obviously painful experiences with us. We will publish our findings as soon as possible."